“Do not come any closer,” the Voice said. “Take off your sandals for the place where you are standing is holy ground.” Then it said: “I am the God of your father, the God of Abraham, the God of Isaac, and the God of Jacob.” And Moses hid his face, afraid to look at God. The story is one we all know: the calling of Moses. It’s the beginning of a whole new story for the Israelites—the story of how God would rescue them from the land of Egypt. No longer would they be slaves. No, now they would take possession of a land of their own, a land flowing with milk and honey. It’s the first chapter of what would prove to be a long journey. We might ask why this matters. God is promising to save the Israelites from their current oppression. So what do a bunch of long dead people—their fathers—have to do with it? 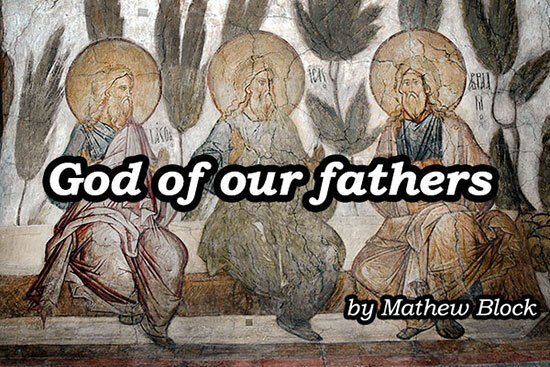 For the answer to that question, turn to my recent article “The God of our Fathers” in The Canadian Lutheran. 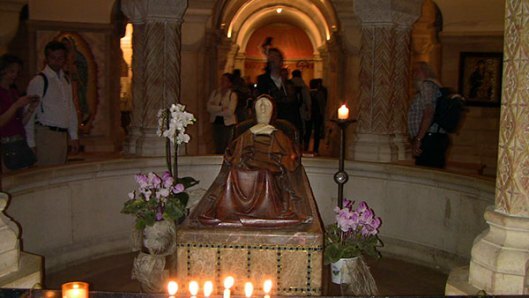 August 15 is the traditional date when the Church celebrated the Dormition (ie, the “falling asleep”) of Mary. But surely, you say, that’s just a Catholic thing. Why should Protestants care? 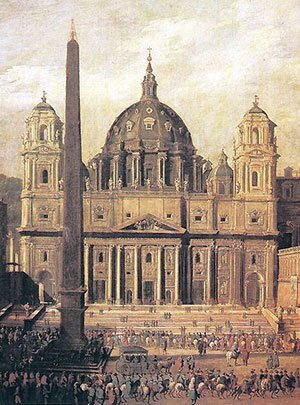 “Some time ago my friend Churl began a series of posts here on A Christian Thing discussing his frustration at the Evangelical tradition in which he was raised and his attraction to Roman Catholicism. Of course, Churl has always recognized these are not the only options: there is Orthodoxy, of course; and on the Protestant side, there are options like Anglicanism and Lutheranism. Alongside Churl’s posts, Chinglican has been chiming in with his defence of Anglicanism, but the Lutheran on this blog has been remarkably silent. That’s not to say I haven’t any opinions on the subject. I do. In fact, Churl and I have discussed the topic on a number of occasions outside of the blog (you know, in real life). But while I have many opinions, I have much less time in which to write them down. Part of what has delayed an online response from me has also been the recognition that it would necessarily mean examining Catholic doctrine in detail. Indeed, talking about joining any church must, by definition, include a very real hashing out of doctrine, because it is doctrine that distinguishes one church from another. Such discussions can be very confusing to many people. They also, by definition, tend to make people angry, because if you say you believe X, you must also say you reject Y. But I have told Churl I would write a response for the blog. So I will. And this is my response: I’m too damn Catholic to be Catholic. From my post “You Probably Think This Psalm is About You” at First Things. But there is one book (or series of books) that Christians have throughout the ages repeatedly affirmed is “about us:” the Bible. And no book in this library is declared “about us” more often than the Psalms. St. 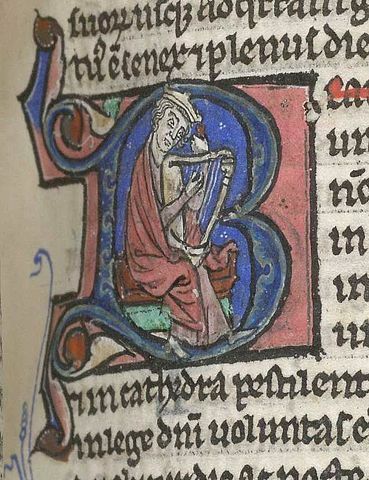 Basil the Great explains the idea well: “The Holy Spirit composed the Scriptures so that in them, as in a pharmacy open to all souls, we might each of us be able to find the medicine suited to our own particular illness… But the Book of Psalms contains everything useful that the others have. It predicts the future, it recalls the past, it gives directions for living, it suggests the right behaviour to adopt. It is, in short, a jewel case in which have been collected all the valid teachings in such a way that individuals find remedies just right for their cases” (Homily on Psalm 1). Captain Thin is powered by	WordPress 5.0.4 and delivered to you in 0.376 seconds using 37 queries.